Astrodon 3 nm H-a, OIII, SII filters, mapped using the Hubble palette to G, B and R, respectively. 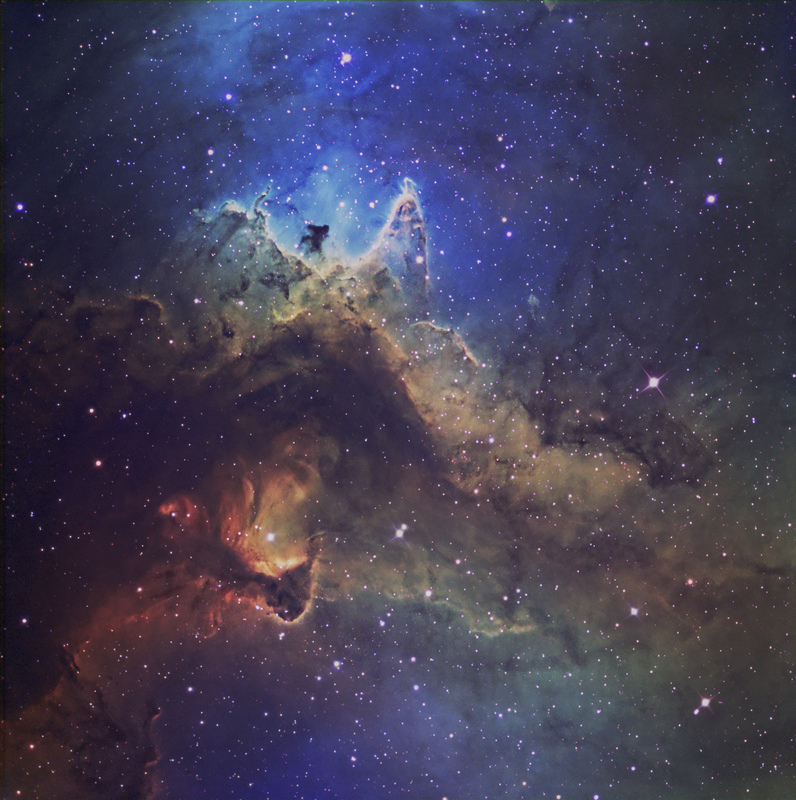 IC 1848 (W5) is at the eastern edge of a giant stellar nursery near Cassiopeia about 7,000 light years distant This region is part of a larger emission complex known as the Soul Nebula, with the Heart Nebula, IC 1805 nearby. This image is ~ 35 arcmin square.